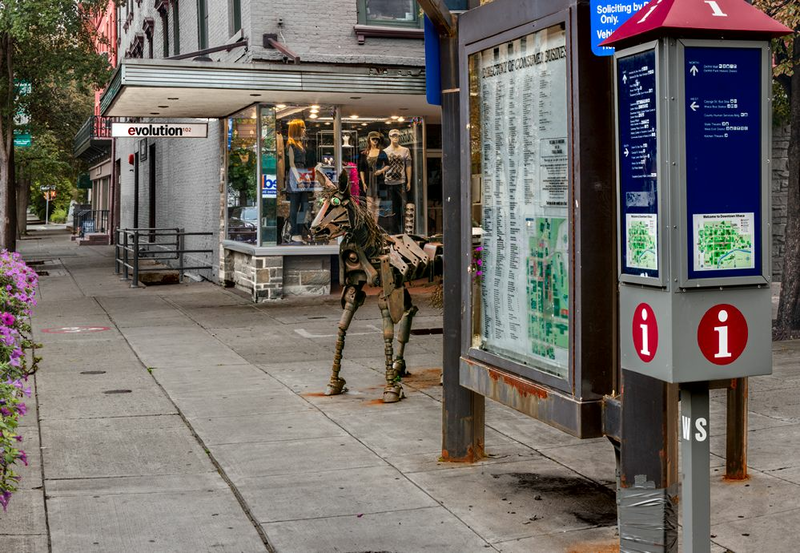 Location: Ithaca, New York • Date: 9/26/10 • Standard Print (w & h): Image: 38.9" x26.9"
This image, taken at the western end of the Ithaca Commons, one of the first Pedestrian malls in the country, is composed of 13 individual shots taken at 100mm. The image was taken just after sunrise, and the combination of the store sign and the liberal use of duct tape is what caught my attention. I should also mention that for the first 17 years of my life, I lived on a farm just outside of Ithaca.